BGBJ is a hostel and community hub located on a landfill site called Bantar Gebang, just outside Jakarta in Indonesia. 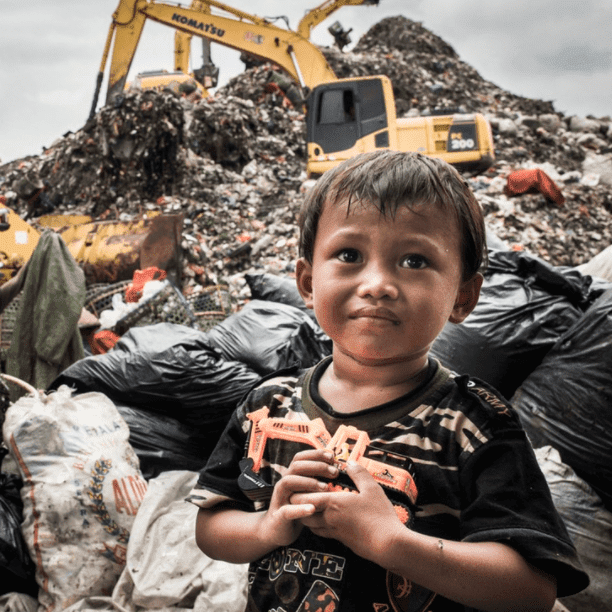 The landfill is home to 3000 families that live on the dump where parents earn a meagre income by picking through the 8000 tonnes of rubbish that comes everyday from Jakarta. As you can imagine the conditions here are extremely challenging, poor quality housing with little or no sanitation, unsavoury smells, flies, bacteria, and all compounded by low income and lack of alternatives. BGBJ stands for “The Seeds of Bantar Gebang” and the aim of BGBJ is to create a unique community asset functioning as both a hostel and a hub, a place that serves both visitors and the local community who lives on the landfill. We run a number of projects and activities to help fund the running and development of education and facilities such as a school, workshop, tool shed, improved sanitation and a computer lab. As such BGBJ is a way to provide better facilities and create sustainable pathways out of the poverty trap through education and employment. 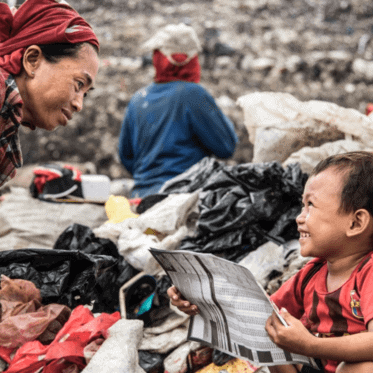 Families of Bantar Gebang lack consistent access to healthy, nutritional food. The number of meals eaten per day vary depending on what families can afford. Some will eat up to two meals per day, with the children buying small, cheap, unhealthy snacks throughout the day. These meals consist of basic ingredients like white rice and chicken or fish, and fried in low quality oil. While some families may have sufficient food every day, this food lacks in nutritional value because of the lack of variety in what is eaten. 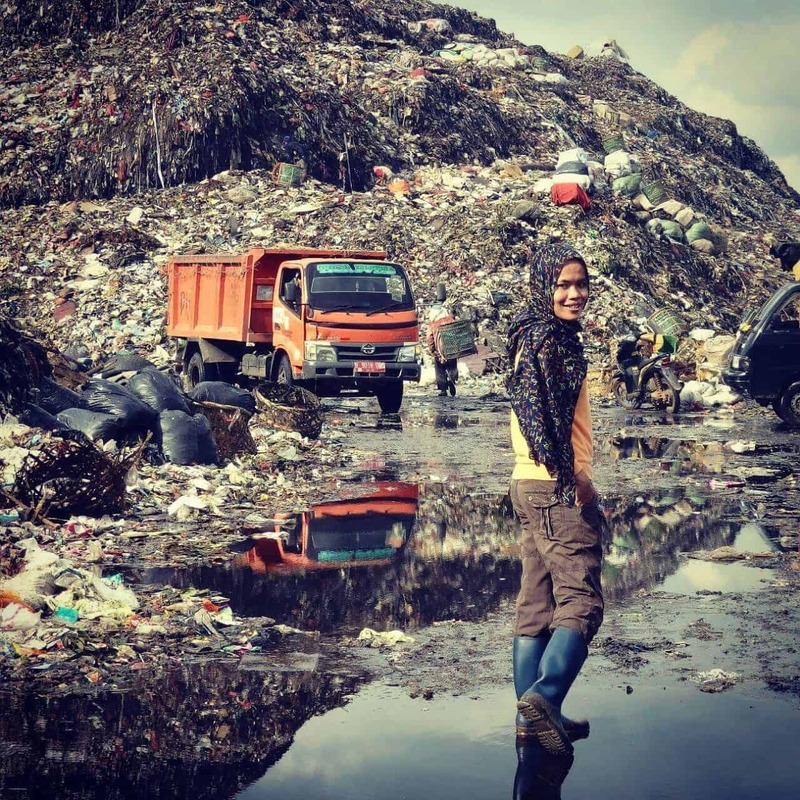 Others resort to eating and re-cooking discarded food from the landfill. This poses serious health risks and increases illness throughout the community, such as food poisoning, vomiting diarrhoea,and parasitic and bacterial infections. The Weekly Food Programme aims to provide children and young adults who attend BGBJ at least one decent meal per week. Providing this weekly meal will create an avenue for BGBJ to teach the children about healthy eating habits with weekly nutrition and hygiene classes. With these activities, we hope to tackle hunger throughout the community and raise awareness of healthy and unhealthy nutrition. Loopmasters financed a 6 month programme from Jan until June 2018 which helps to feed 68 children a week. Profound Services also helped us to be able to donate 5 laptops to the children at BGBJ in 2017.